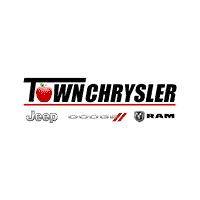 Ready to get a great deal on your next Chrysler vehicle? Explore our rotating selection of lease deals and finance offers. When you’re ready, complete this easy-to-use and secure contact form to schedule a test drive around Wenatchee. Sure, Ephrata drivers appreciate Chrysler vehicles for their exceptional quality and luxurious features. But critics praise Chrysler vehicles as well! U.S. News and World Report, a reputable automotive resource, lauds the 300’s spacious interior, powerful engines, and intuitive infotainment system. Edmunds, another leading resource, highlights the Chrysler 300’s “bold American style.” Even Chrysler’s minivan selection gets critical acclaim, with U.S. News and World Report awarding the Pacifica a respectable 8.7 out of 10 and Kelley Blue Book ranking the Pacifica a 4.6 out of 5. If you’re ready to experience what the critics are praising, you’ll want to head on over to our Wenatchee car lot. Apply for financing today to get a head start on your next Chrysler purchase.